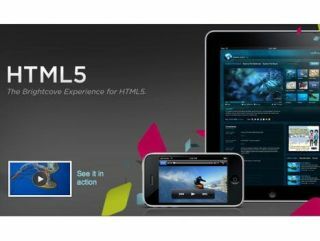 Apple's iPad launches in the US this coming Friday (April 3) and this week sees the arrival of the new, free Brightcove Experience framework for HTML5. For those that are not aware, Brightcove offers Apple and others a "way to publish, distribute, and monetize web video for the iPad and other Apple devices." Brightcove's HTML5 video solution is also important for some of the leading UK media - Sky, Virgin Media, Five, C4, The Mirror, The Guardian and The Times all use the platform. Sky has also recently expressed excitement about the possibilities of Apple's iPad. Brightcove's US customers including Time Inc. and (Brightcove) investor The New York Times – both of which using the new HTML5 solution for their iPad-friendly publications. We also expect to see in iBookstore at launch on Friday with over 30,000 free books brought to the iTable by the Gutenberg Project. Video previews of a number of "HD" formatted iPad apps have already started arriving online, as you can see right here.